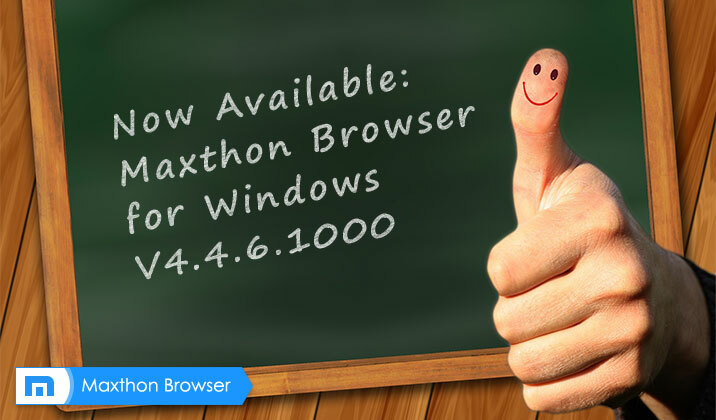 Today, we have Maxthon official version 4.4.6.1000 available for you to try out. After updating to maxthon v4.4.6.1000, I have lost all my custom search engines urls list and it has been replaced with some default set. Is there any way to get it back? and please let me know which file it’s stored in, so that i can pull it out of my backup files atleast. Thanks for your attention at our product, and sorry for bring your inconvenience. do you want to try our other version? 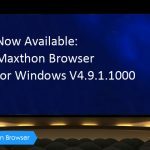 If you still have any suggestions or questions with Maxthon Browser, please feel free to contact us(help@maxthon.net), we will reply you shortly. Can you please make opening bookmarks from the bookmark side panel open in current tab rather than opening new tabs all the time. This is important for fast browsing. Thanks! thanks for fixing “Not displaying safe link icon in presearch”. Good better always keep it simple. Do you have a date for the release of MX5? I am looking forward to that! Maxthon browser doesnot support Tamil fornts. Sorry for bringing you inconvenience caused by language option’s limitation. Which language are you using? Do you mind us recommending you to install our Installer Version? We support multiple languages for Maxthon Installer Version. Beside, I would like to invite you to be a translator with the language you speak for Maxthon. Here is the link of Crowdin, we usually post our Translation Project here. Thank you for your patience. Please reply us if you are available. After using chrome for many years, now installed Maxthon and ahh The Features. Amazing browser. I downloaded Maxthon today and I noticed that it doesn’t have the Chrome feature to move between tabs using Ctrl+1 for tab 1, Ctrl+2 for tab 2, etc. The majority of people doesn’t pay attention to this feature, but it’s very useful for the ones who are writing on a tab, but need to get information on another one. I’d be pleased if you add that to Maxthon. And more than 3 monthes without updates… (on Linux more than year). Most important in every product – stability and updates/bug fixes. Please make better extensions. Extension about twitter, gmail, translators didnt work properly, or as good as on another browsers. There’s definately a great deal to know about this subject. I really like all the factors you have made. Your writing taste has been amazed me. Thank you for your comment. If you have any feedback for our browser or blog, please feel free to let us know at any time! Actually, v4.4 has been an old version. Will you ever considering try some new updated version, v4.9, v5.0, for example? I’m sorry that the new versions couldn’t meet your requirements. If you encounter any problem during using, please feel free to contact our engineers by emailing to help@maxthon.com and we will reply you ASAP. 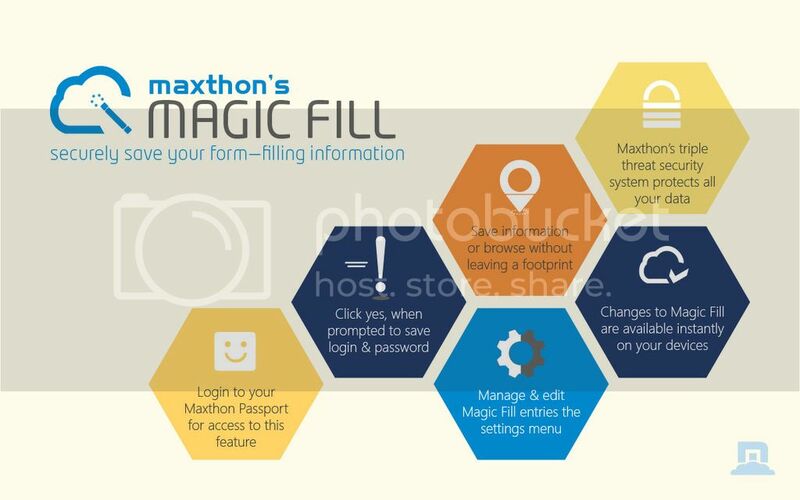 Feature Focus: Magic Fill Maxthon Cloud Browser for Windows V4.9.1.1000 Officially Released!